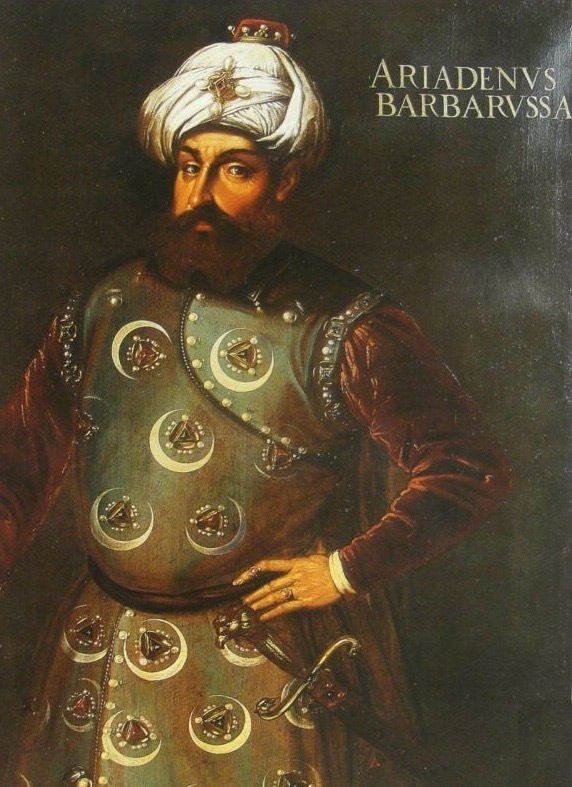 Hayreddin Barbarossa was one of the most notorious pirates of his day. Together with his older brothers, Ishak and Aruj, they conquered the North African city of Algiers, and submitted it to the Ottomans, as a means of protecting themselves from the Spanish. Nevertheless, this did not stop the Spanish, who made an assault on Tlemcen in 1518. This is a city located near Algiers which was under the rule of Hayreddin and his brother. During this siege, Ishak and Aruj lost their lives. Hayreddin inherited his brother Aruj’s position as the ruler of Algiers, and continued to serve the Ottoman Empire. It was during this ‘post-Aruj’ period that Hayreddin continued his privateering / pirating activities, and created a name for himself, thus ensuring a place for himself in the history books. 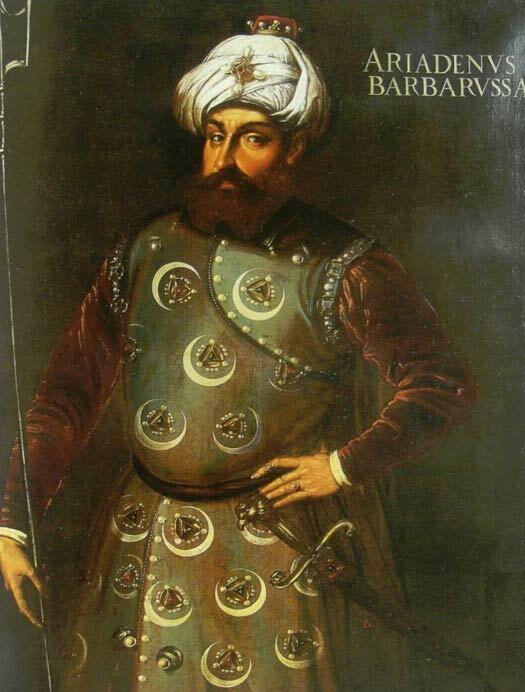 Hayreddin Barbarossa was originally known as Khizr or Khidr, and was born on the Greek island of Lesbos around 1478. Hayreddin had three brothers, though by 1518, he was the only one left, as the all his brothers had been killed during combat. When Aruj was killed at Tlemcen, Hayreddin not only inherited the rulership of Algiers, but also his brother’s nickname amongst the Europeans, ‘Barbarossa’ (due to his red-colored beard). On the subject of names, Hayreddin has been translated into English as ‘goodness’ or ‘best of the religion’, and was an honorary title given to the pirate by the Ottoman sultan, Suleiman the Magnificent. Although the Spanish had captured Tlemcen around the middle of 1518, Hayreddin was able, with fresh troops sent by the Ottomans, to recapture that city at the end of the same year. In the following year, a joint Spanish-Italian force attacked Algiers, though Hayreddin was able to repel them. Hayreddin had his vengeance in the same year when he raided the French region of Provence. In 1520, the Ottoman sultan, Selim I, died, and was succeeded by his son, Suleiman the Magnificent. In return for the services of his pirate fleet, Hayreddin requested the new sultan for further Ottoman protection for North Africa from the Spanish threat. 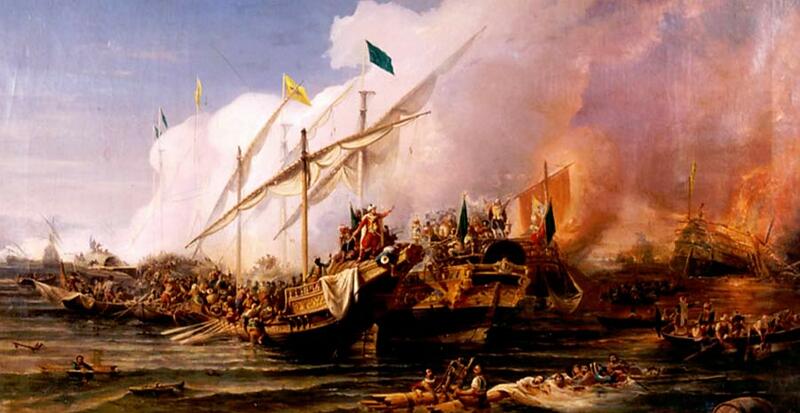 This was granted by Suleiman, and Hayreddin’s fleet began raiding the French and Spanish coast. Then, in 1522, Hayreddin contributed to the conquest of Rhodes by sending his ships under the command of one of his subordinates, Kurtoğlu. Rhodes was the stronghold of the Knights of St. John - Christian pirates who often raided Ottoman vessels in the western Mediterranean. Thus, their expulsion was a removal of a thorn in the side of the Ottomans. Hayreddin’s raiding spree continued, and caused much trouble to the Europeans. 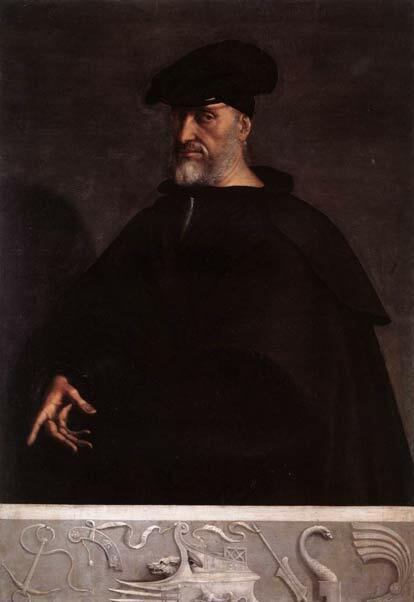 As a result, in 1530, the Holy Roman emperor, Charles V, decided to seek the help of Andrea Doria, a formidable Genoese admiral. Hayreddin’s first engagement with this adversary happened in 1531. Hayreddin bested his opponent, who commanded a Spanish-Genoese fleet of 40 galleys, for which he won the personal gratitude of the sultan. Whilst Suleiman was on a military expedition to Habsburg Austria in the following year, Doria captured several cities on the coast of the Greek mainland. Although the Ottomans successfully recaptured these cities, it was then that the sultan realized the importance of having a strong navy to protect Ottoman interests in the Mediterranean from the seasoned seamen of Europe (such as the Genoese and the Venetians.) As a result, Hayreddin was summoned to the court in Constantinople, and was appointed as the admiral of the Ottoman fleet. Hayreddin did not let his patron down, and continued his raids on Christian Europe. He proved his capabilities as a naval commander once again in 1538. 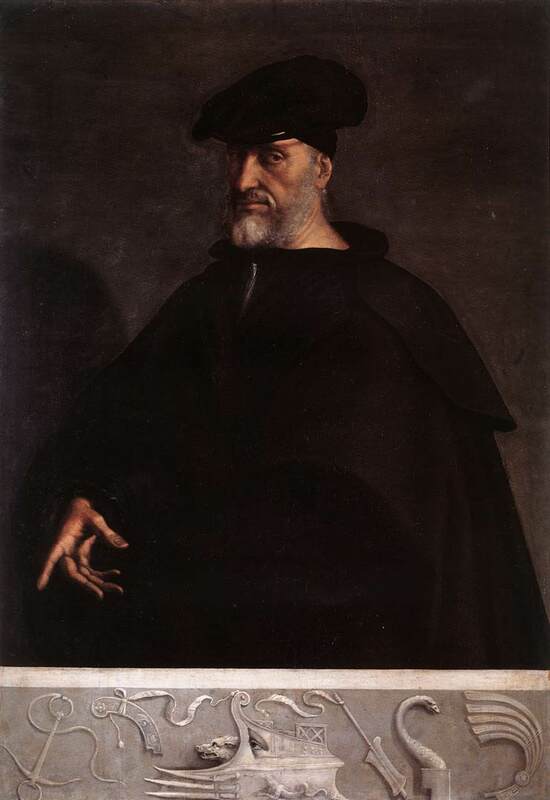 This time, a ‘Holy League’ was assembled by Pope Paul III, and was led by Andrea Doria. The Genoese admiral commanded a fleet consisting of vessels belonging to the Papal States, the Spanish Empire, the Knights of Malta, and the Republics of Genoa and Venice. The Battle of Preveza, which took place on the 28th of September 1538, resulted in another victory for Hayreddin, and ensured that the eastern Mediterranean would be dominated by the Ottomans until the Battle of Lepanto in 1571. Hayreddin continued to serve the Ottoman Empire loyally. For instance, when Charles V attempted to bribe the pirate to switch sides, it is said that he refused the offer outright. Additionally, the raids of coastal cities continued. Some, such as the Genoese, eventually gave up trying to defeat Hayreddin, and chose to pay tribute in order to be spared from being attacked. At one point of time, the Ottomans entered into an alliance with the French, and Hayreddin found himself defending southern France from Spanish attack during this time. A truce was finally reached between the Ottomans and the Spanish in 1544. In the following year, Hayreddin retired to a villa on the northern shore of the Bosporus. His son was appointed as the new ruler of Algiers, and he had his memoirs written. 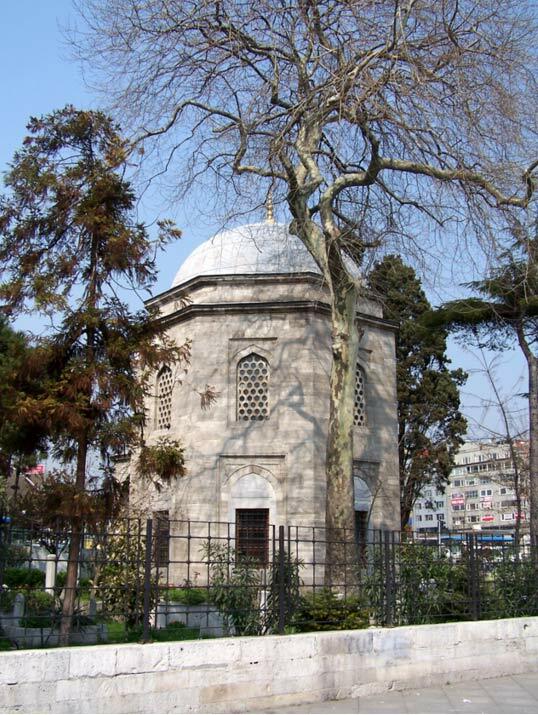 In 1546, Hayreddin died of natural causes, and was buried on the European side of the Bosporus Straits. Featured image: Barbarossa Hayreddin Pasha defeats the Holy League of Charles V under the command of Andrea Doria at the Battle of Preveza (1538). Photo source: Public Domain . Garcés, M. A., 2005. Cervantes in Algiers: A Captive's Tale. Nashville: Vanderbilt University Press. Montefiore, S. S., 2012. Titans of History. London: Quercus.